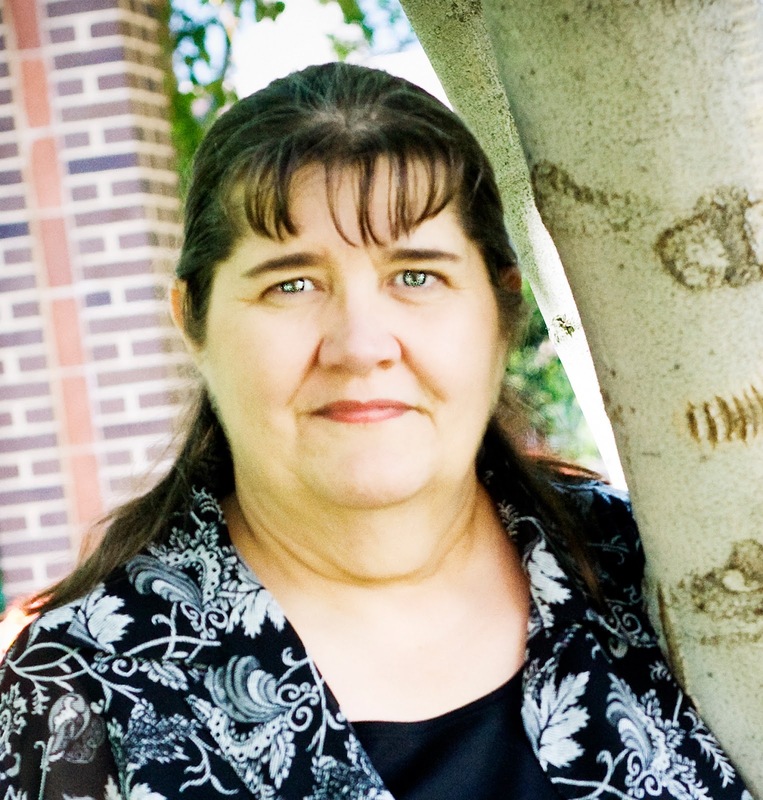 Have you ever been on a hay ride? 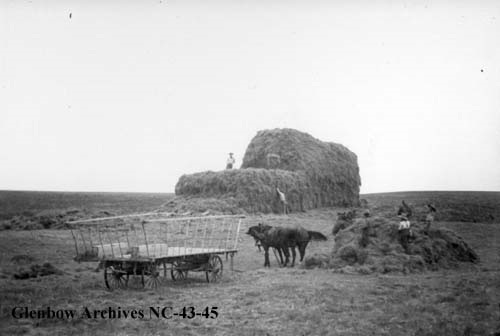 Nowadays they call it a hay ride but instead of using hay, you get to sit or lean against straw bales. Physically, the difference is that straw is the stalk that's left after a grain like wheat, oats or barley has been harvested. It's a yellow or golden color and because it's hollow, it's kind of fluffy until it's pressed down flat which makes it great for animal bedding. 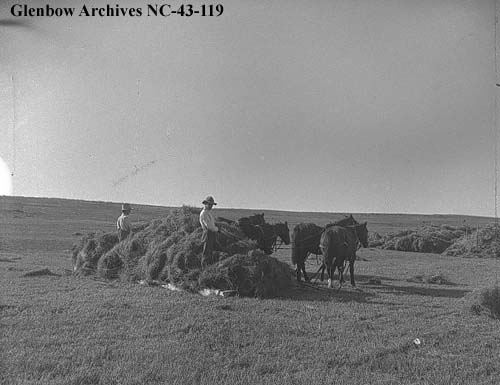 Hay is alfalfa, clover and many grasses that are cut while still green during the summer months and baled or wrapped to seal in the nutrients for the cold winter season. The stalks make up a large portion of hay because they are filled with nutrition unlike the hollow stems of straw. Between the stalks and dried leaves, hay is scratchy, poky and prickly. Think of the bay leaves you add to soups and stews. I know because I learned to drive a tractor when I was 12 so that I could pull the hay rack (wagon) while my grandparents pitched hay onto it. My cousins got the job of running back and forth and tamping down the hay in the wagon while I drove to the next hay stack. By the end of the day, they had cuts and scratches from the hay, and if I have to admit it, they had a couple bumps and bruises, too. You see, being a new driver and all, I kept letting out the clutch too fast and having the tractor jump forward which made my cousins tumble into each other and over the side. Oh, the hazards of haying season. 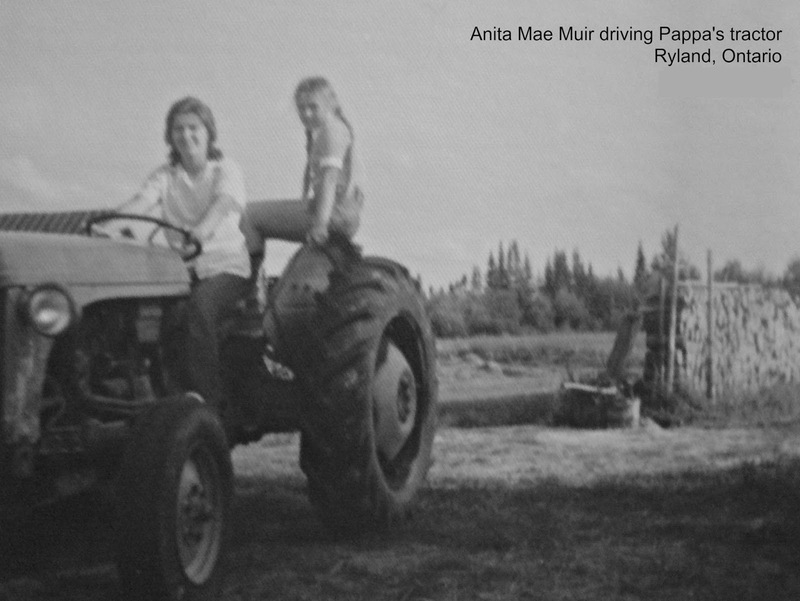 That same summer, Pappa (my Finnish grandfather), taught me how to use the hay cutter and hay rake. Although Pappa could do it himself with a rope that was pulled behind the tractor, he had a bad back and it was better if he didn't have to turn around so much to see what was going on. 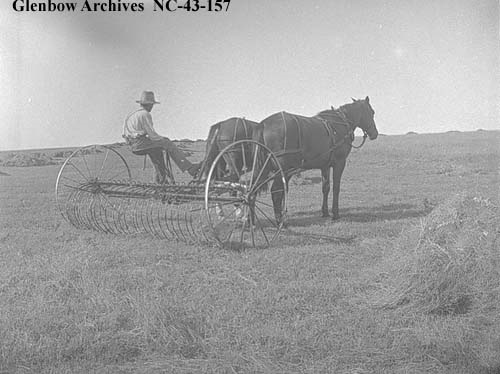 The hay cutter was a long sickle like moving blade like the kind the maintenance crews use to cut grass and hay beside the roads. On the farm, I would sit on the hay cutter with the 4-5 foot blade heading off to the right. Pappa would start the tractor and off we'd go. My job was to watch for rocks or any other things that would stop the cutting action and either ricochet off or break the blade. Whenever I spotted something, I would push down on a foot pedal while pulling back on a lever which would raise the blade. The harder I pressed and pulled, the higher the blade raised. 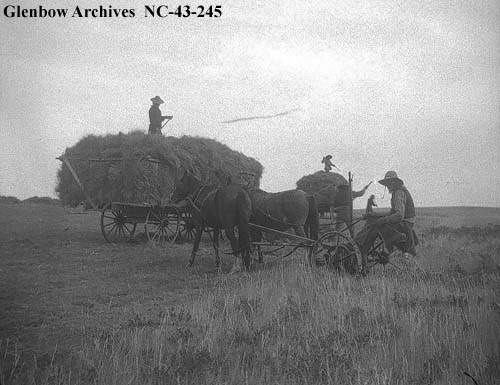 As with the other ranch photos in this series, the images of haying in this post are from the Glenbow Museum Archives collection of photographs by rancher Hugh Beynon Biggs showing life on an Alberta ranch in the early 1900's. 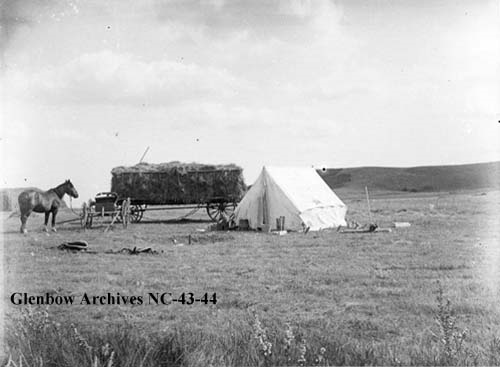 This next image called, Load of Hay at Camp, implies that the farm hands camped out during hay season. This makes sense because as soon as hay is ready to be stacked/baled, it should be done as fast as possible. Rain will rob nutrients from the hay and cause mold which will spoil hay and make livestock sick. Spending time traveling back to the ranch to sleep isn't good management if you have food and shelter available to the men. 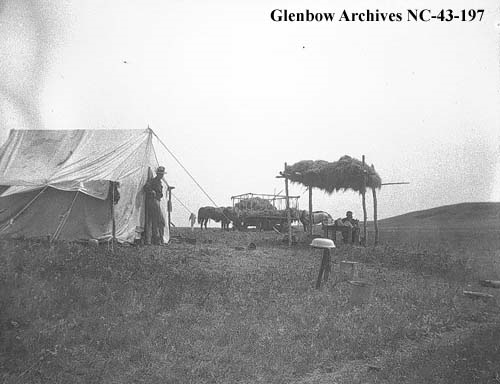 Perhaps they didn't have shade awnings like they do now, but these ranch hands knew how to use hay and here you see them using it to provide shade for their dining table. Can you see the bucket in the front? I believe that's a stump or can behind it where the men would sit while shaving. There's probably a mirror under the upturned basin. 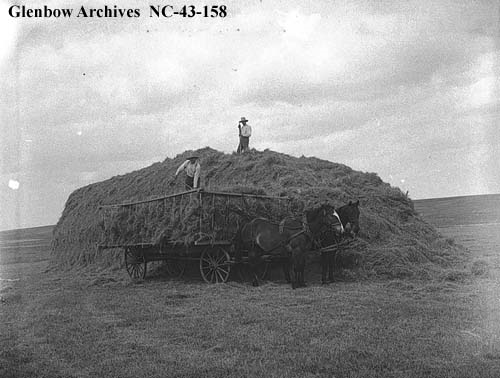 With the hay cut and raked, it would be stacked in the field so it was easy to reach in winter. Better to have the hay out in the pasture near the stock than try to haul through snow drifts. 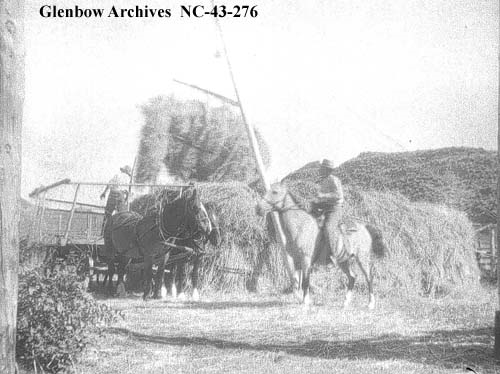 The hands would stack the hay in a high arc so that rain and snow could slide down the slopes. 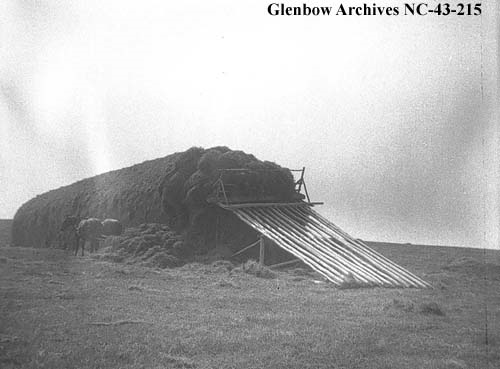 Usually the top couple of feet on a hay stack will be spoiled from the effects of the elements, but then it will be good underneath, so when planning a hay stack, they will put hay that isn't as good on the top as the cover. Nowadays they use tarps. How long do they make these stacks? I don't know as this is the longest one I've seen made from loose hay. And of course, not all the hay is left in the pasture. This next image shows a ranch hand directing the pulley system which lifts a hay carrier up to the loft of a barn or stable. 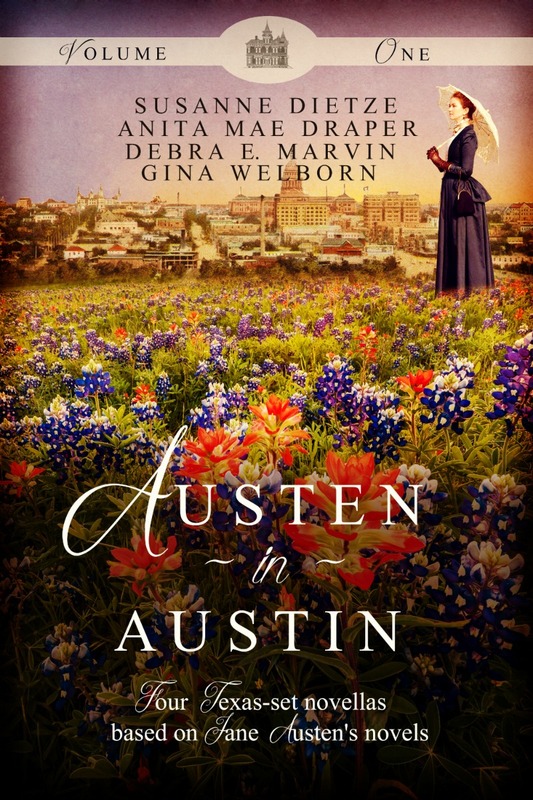 In one scene of Romantic Refinements, my novella in Austen in Austin Volume 1, my hero is the man forking hay in the wagon. 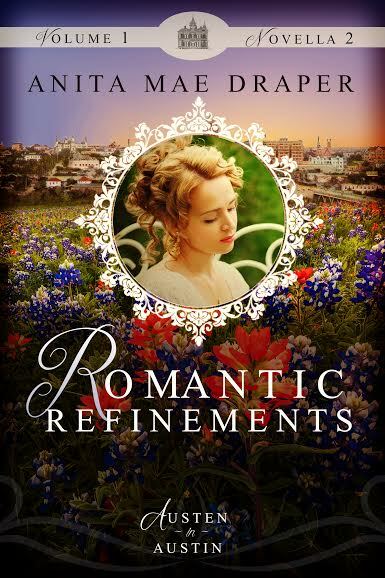 There's a tense moment when the heroine wonders if the rising hay carrier will fall on him and that's all that I'm going to say about that. And of course, things happen no matter where you are. 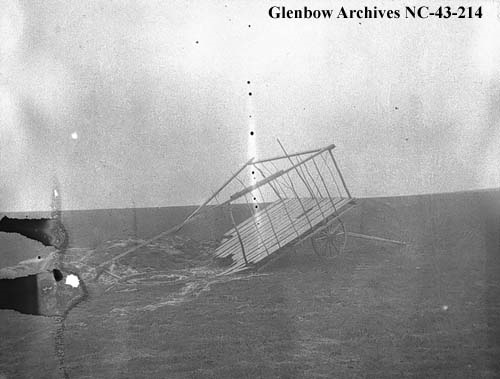 I have an idea of what may have happened to this broken hay wagon. I'm guessing there was too much hay and it gave way....breaking it in two. I've never been on a hay ride. Good thing, since I'm allergic. Just looking at those pictures makes me short of breath.